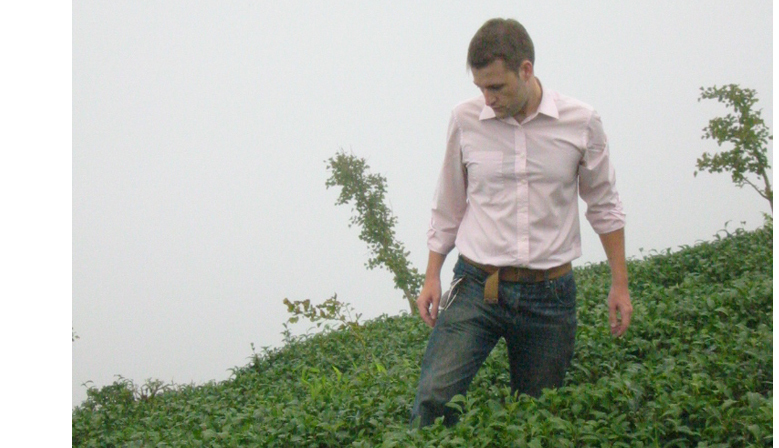 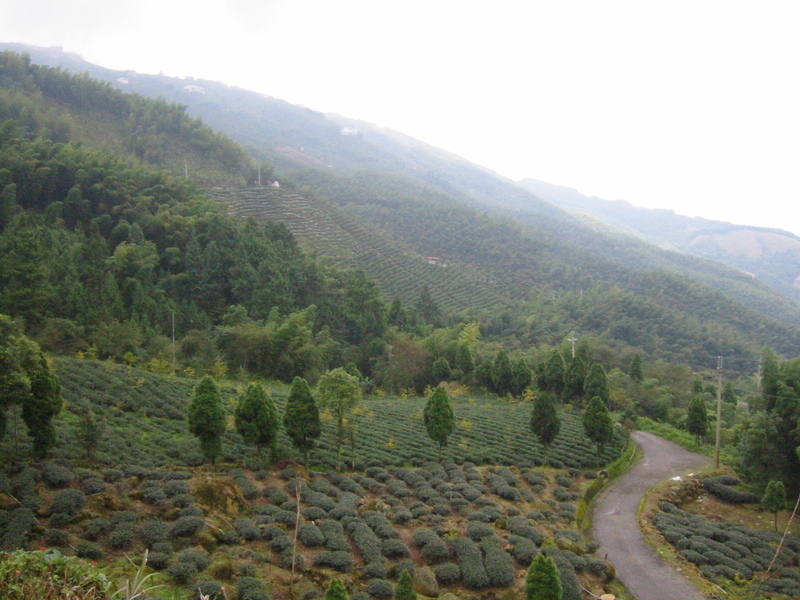 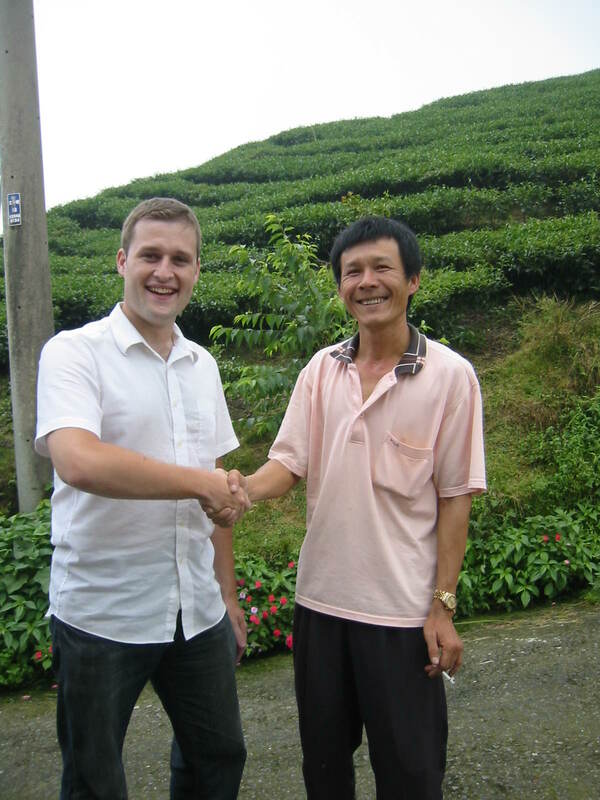 Tea growing in a high mountain tea plantation in Nantou, Taiwan. 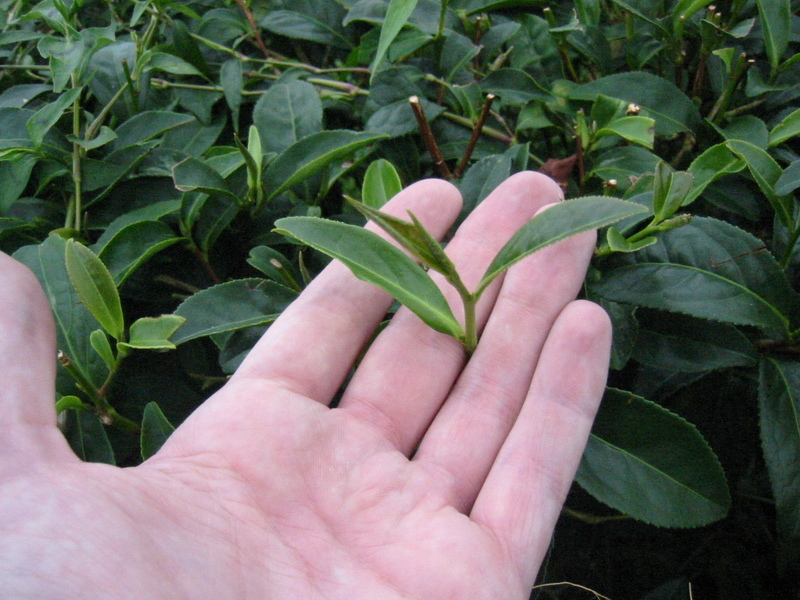 Tea is laid out to wither this remove the excess water from the leaves and makes the tea leaves go limp. 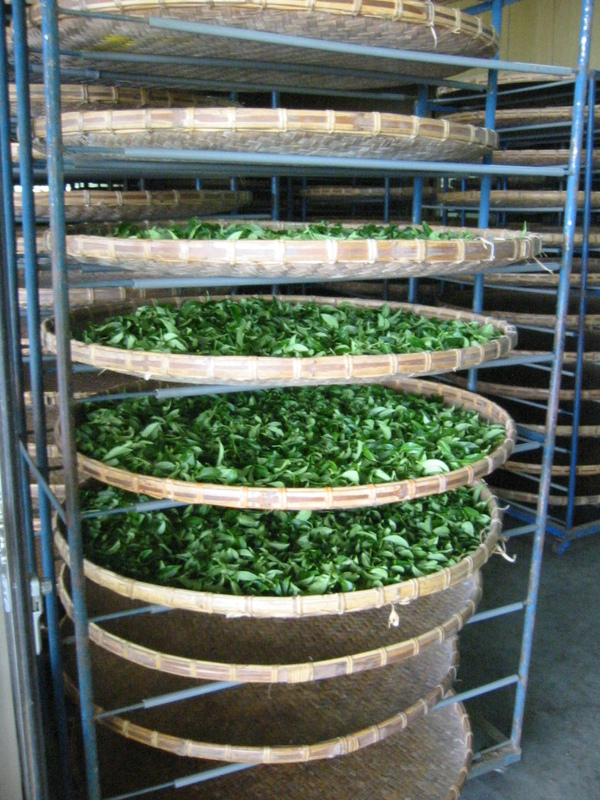 This process is important to promote the breakdown of leaf proteins in amino acids. 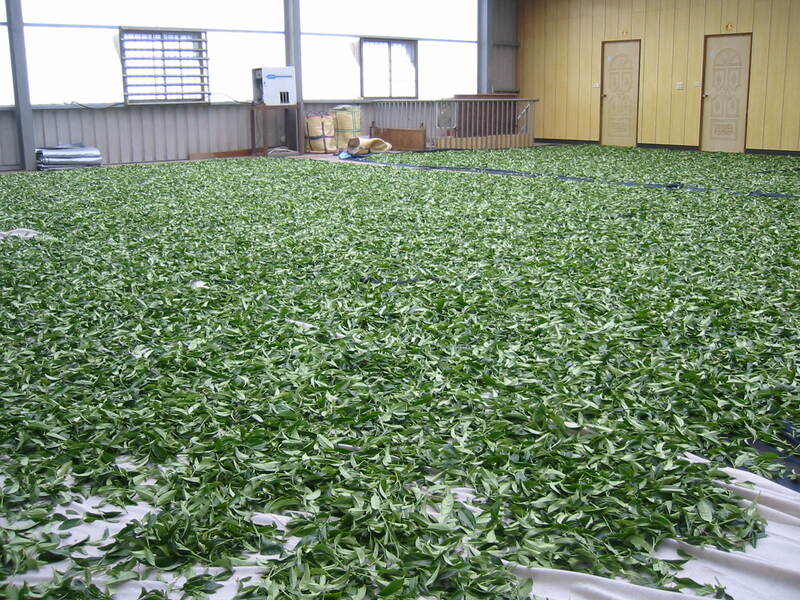 Tea leaves are bruised during the rolling process. 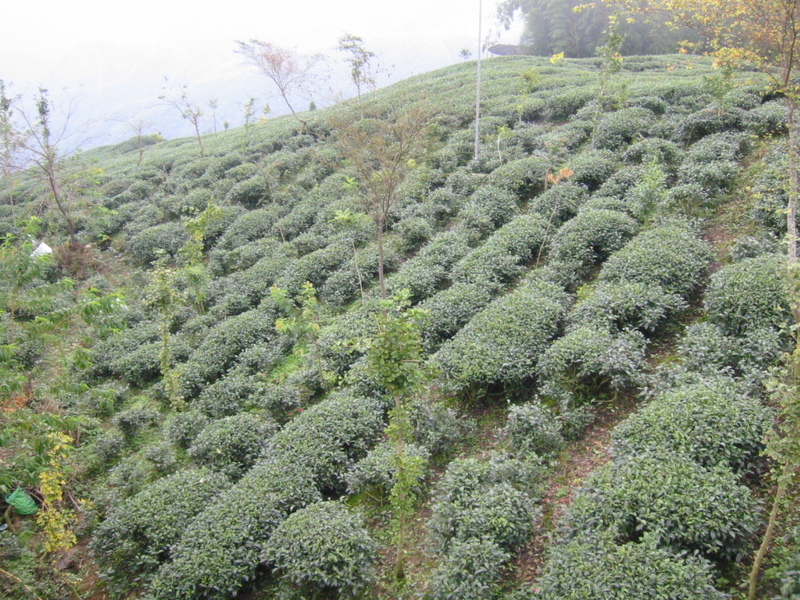 This rolling causes some of the sap, essential oils and juices in the the tea leaves to ooze out, further enhancing the taste of the tea. 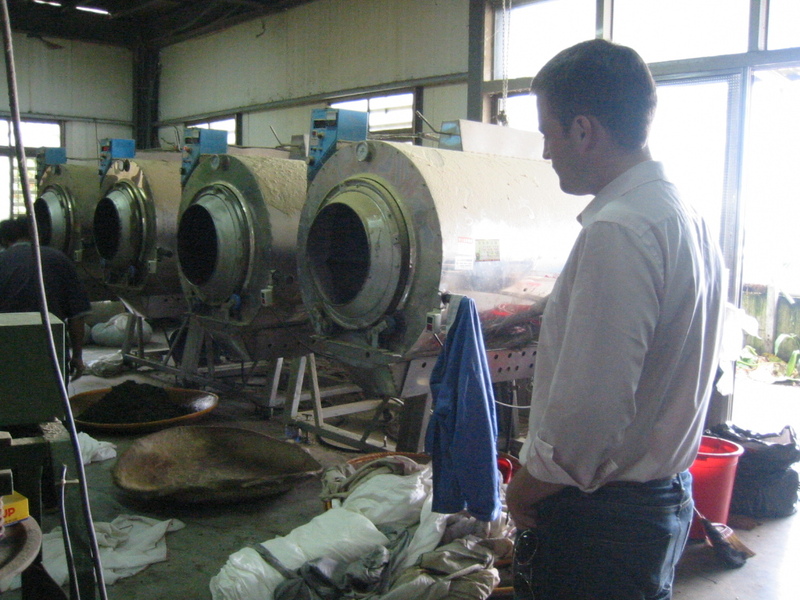 Machines are used for fixation (kill green), rolling and drying the tea.